@The Common Shaman, you can't handle the truth. @Good Guy Satan, could you imagine that? 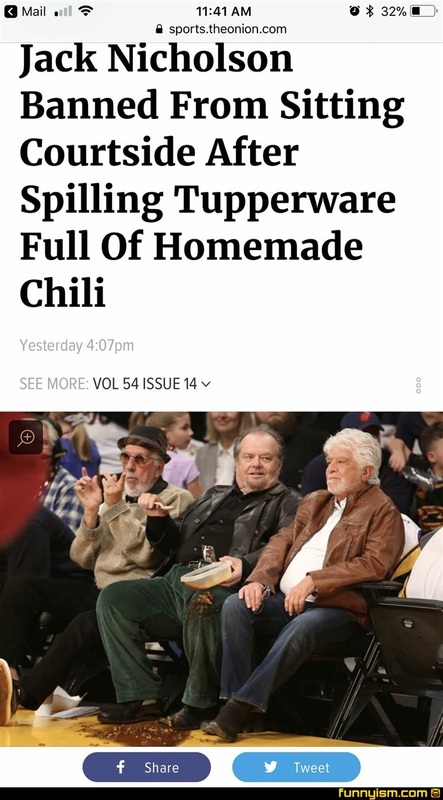 Sitting courtside at a game when some spills chili all over you and turn around like "WHAT THE F- omg... its Jack Nicholson". @aminalFacks, "And that was the time Jack Nicholson spilled beans on me..."
Does that neck fold look weird to anyone?